What would be a case for the repair shop for a car engine is completely normal for a micro engine. If it sputters, this is caused by the thermal motions of the smallest particles, which interfere with its running. 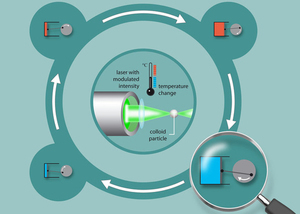 Researchers at the University of Stuttgart and the Stuttgart-based Max Planck Institute for Intelligent Systems have now observed this with a heat engine on the micrometre scale. They have also determined that the machine does actually perform work, all things considered. Although this cannot be used as yet, the experiment carried out by the researchers in Stuttgart shows that an engine does basically work, even if it is on the microscale. This means that there is nothing, in principle, to prevent the construction of highly efficient, small heat engines. The software enables electron microscopes to extract more information about the composition of crystals. A new software called QED (Quantitative Electron Diffraction), which has been licensed by Max Planck Innovation, has now been released by HREM Research Inc., a Japan based company, which is developing products and services in the field of High-Resolution Electron Microscopy. QED allows transmission electron microscopes to acquire novel kinds of data, opening up new possibilities in electron crystallography. Magnetic vortex cores, which can be used as particularly stable storage points for data bits, can now be switched much faster. Microscopically tiny ferromagnetic platelets exhibit a phenomenon which could be exploited in the future for particularly stable magnetic data storage: so-called magnetic vortex cores. 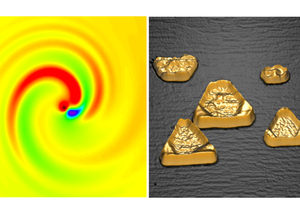 These are needle-shaped magnetic structures measuring 20 nanometres (millionths of a millimetre) in diameter. Five years ago, researchers at the Max Planck Institute for Intelligent Systems (formerly the Max Planck Institute for Metals Research) in Stuttgart found a way to reverse the magnetic field needles despite their stability using only a tiny amount of energy so that their tips pointed in the opposite direction. 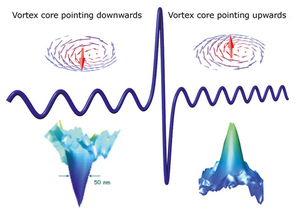 Such a switching process is necessary to enable the vortex cores to be used in data processing. The Stuttgart scientists have now discovered a new mechanism which makes this switching process at least 20 times faster and confines it to a far smaller region than before. 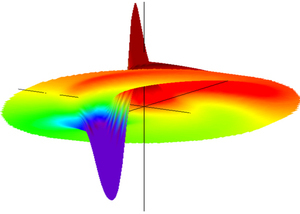 Magnetic vortex cores could thus provide a means of data storage which is stable, fast and greatly miniaturized. 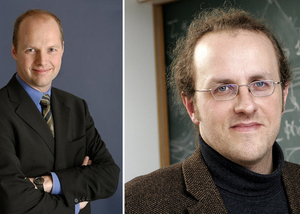 Sebastian Thrun from Stanford University and Bernhard Schölkopf from the Max Planck Institute for Metals Research in Stuttgart have been awarded the 2011 Max Planck Research Award, which is endowed with 750,000 euros for each award winner. The Alexander von Humboldt Foundation and the Max Planck Society honour two outstanding scientists who have brought significant progress to a research field that is at the interface of different disciplines. New research emphasis "Intelligent Systems"
The Max Planck Society is restructuring the Max Planck Institute for Metals Research, thereby creating a research facility that will focus on the area of intelligent systems. 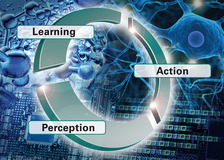 This includes computer sciences and biology, as well as innovative aspects of materials research, already part of the work at the Institute. In addition to the Stuttgart location, another division of the Institute will be established in Tübingen. Each site will have four research departments. To reflect its new orientation, the Institute will also be given a new name. Subject to approval from the Max Planck Society's Senate, it will be called the "Max Planck Institute for Intelligent Systems". Max Planck Society President, Peter Gruss introduced the new scientific concept of the Institute together with Minister-President Stefan Mappus (CDU) at a regional press conference in Stuttgart. 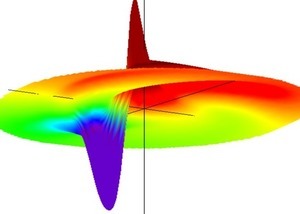 Scientists at the Max Planck Institute of Metals Research in Stuttgart have discovered a new mechanism with which it is possible to use weak magnetic fields to reverse tiny magnetic structures, called vortex cores, quickly and with no losses. Up until now, very strong magnetic fields have been necessary to accomplish this, requiring highly complex technology. The new method might open up new possibilities for magnetic data storage (Nature, November 23rd, 2006). 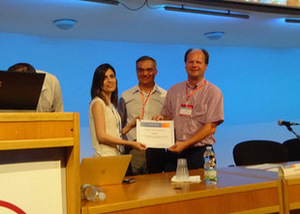 Dr. Hasti Seifi is the winner of the 2017 EuroHaptics Society award for the best Ph.D. thesis in the field of haptics. While Ms. Seifi is currently a postdoctoral researcher at the Max Planck Institute for Intelligent Systems (MPI-IS) in Stuttgart, the award honors research she conducted at the University of British Columbia (UBC) in Canada, where she completed her doctorate in Computer Science under the supervision of Professor Karon E. MacLean.